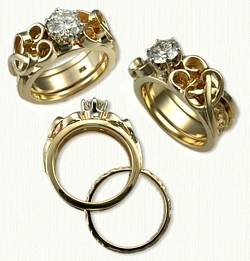 Shown: 14Kt yellow gold custom Initials Reverse Cradle (7.5mm) with six .03 pt and a 7mm center RBC diamond. 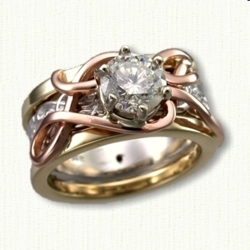 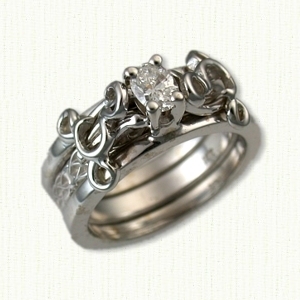 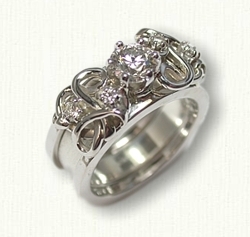 14kt white gold custom Triangle Knot inside band (5mm) with diamond melee. 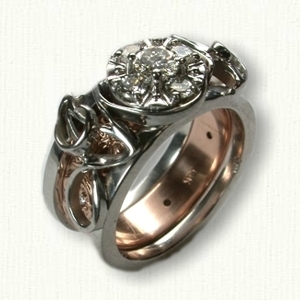 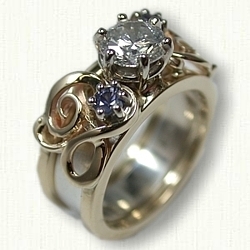 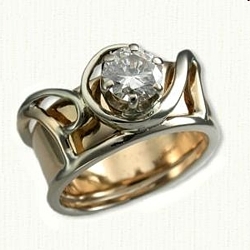 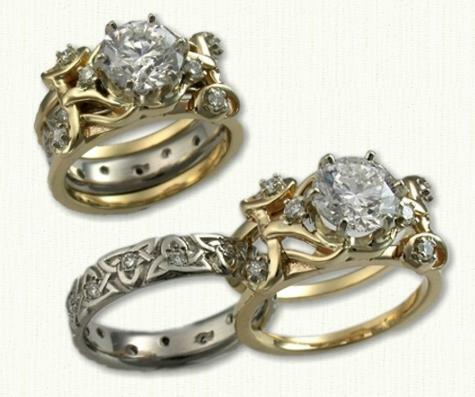 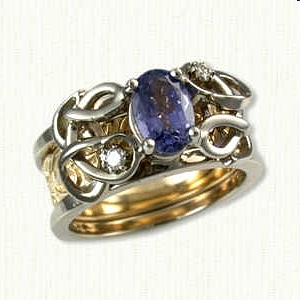 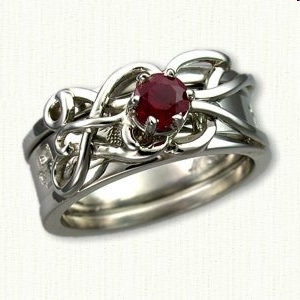 Visit our matching Custom Initial Wedding Bands page for other ideas.